Rich in history and innovation, our heritage dates back nearly a century, when McKenna Boiler first set up shop in Southern California. 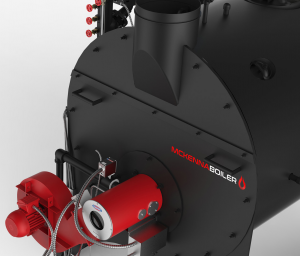 Since then, they’ve been an integral part of the growth and industrialization of local and international businesses that are seeking innovative boilers. 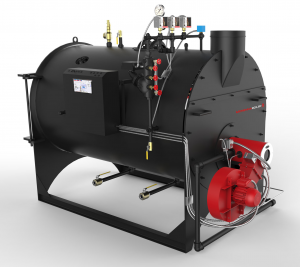 To meet some of today’s most stringent emission requirements, McKenna Boilers utilize efficient, simple, cost effective and proven systems, designed to burn cleaner and contribute to a more sustainable environment. 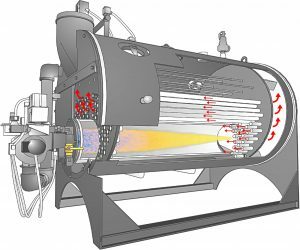 Force Draft Power Burner with pre-piped, wired and tested fuel configurations for natural gas, propane (LP) gas, No. 2 (diesel) oil, or combination of gas/oil. Safety relief valve, operating pressure control with manual reset, steam pressure gauge, combination pump control and low water cut-off with gauge glass assembly and drain valve, auxiliary low water cut-off with manual reset.